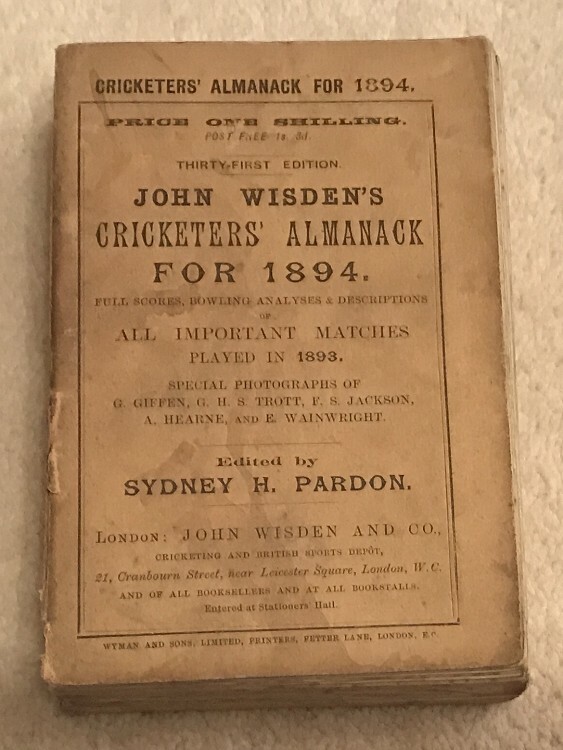 This lot is an Original 1894 Wisden Paperback. In Good to Very Good Condition. The book is 100% Original and so has a few things to note. The front cover has a couple of large marks as does the rear and page block. The spine paper is very nice, some flakyness to the bottom right as shown but tightly bound, excellent photoplate.